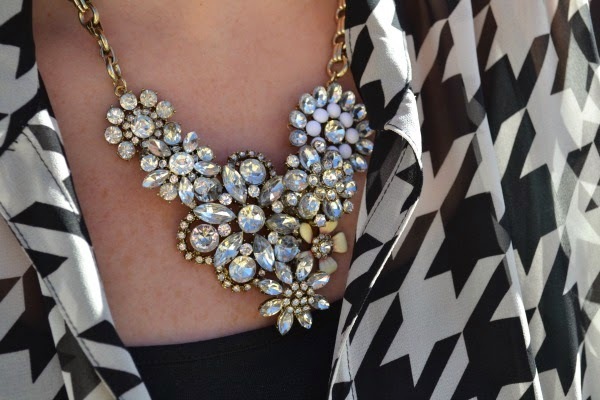 Black and white is a favorite color combo of mine, and add a pop of gold and it's even more chic and elegant. I've had this leather skirt for a few months but hadn't worn it yet. So last weekend, when the temperatures weren't unbearable, I pulled it out and paired it with this new Karen Kane blouse I got for Christmas. The outfit felt like it needed something, so I grabbed these gold accessories to add a little pop. I love giving a simple color palette some glitz. Those shoes are amazing. I wonder if you can get them here in the UK. Fingers crossed. I like your styling. I think black and white together is great combination. 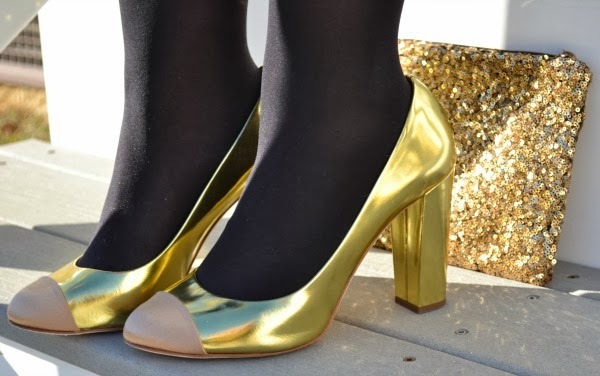 Love the shoes and the clutch - the perfect accent. I love nothing more than a good houndstooth print and I love that your paired yours with touches of gold! The gold made the print pop more! Love the shape of this shoe, and the pattern on the jacket! Very classic. You look beautiful. Very elegant with a touch of glamour.